The Makerspace will open in A Grid on Thursday 11th April at Otakaari 5, Espoo. You are warmly welcome to set this open, tech-loaded collaborative space in motion! 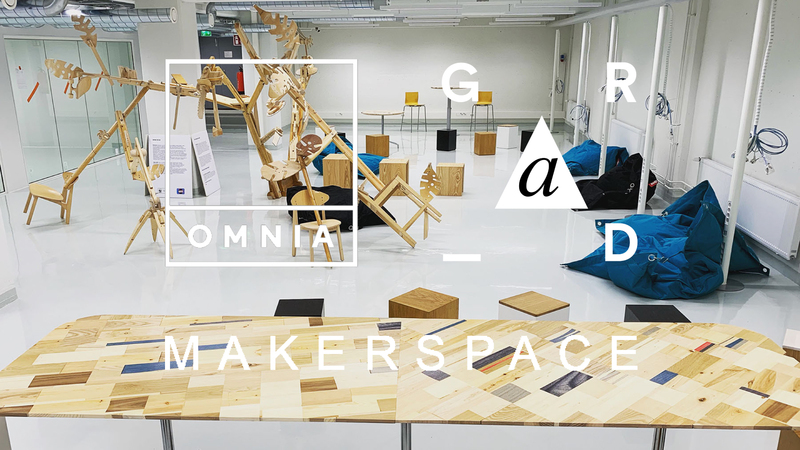 The Makerspace serves A Grid startups and Omnia, and in particular the joint projects of the startups and Omnia education. Omnia acts as part of the Business Espoo network in A Grid. The event is aimed at companies in the region, working life networks and education developers. The main language of the event is Finnish. Free lunch for registered participants! The opening will commence in the Mordor auditorium with greetings and a speech by MP Jyrki Kasvi. After that, you will meet actors of new technology and learning in the Makerspace. Get to know the technology and see e.g. how a drone is programmed to dodge people. The panel will discuss which parts of our work will be taken over by robots and when. The European IV4J project presents innovations in vocational education and training. – 13.30-14.15 Panel discussion: Will Robots Take My Job? Feel free to take part according to your own schedule.